I found freedom in high school on the stage. The shy, introverted farm girl became Mary on the morning after the resurrection, a detective sorting through clues, and innocent Snow White. In the safety of the bright lights and makeup and scripted dialogue, I could say the things I would never express and live out stories that sparked delight in my heart. In a play, there’s the hero- the actor or actress with all the lines and spot on center stage. There’s the sidekick, and the folks who have no lines but get to dress up and fill out the spaces of the story. Someone needs to build the set and design the costumes and tell everyone where to stand. You don’t see them, but someone needs to run the lights and move things around when the scene changes. Each person has a role, and although one person might get the longest applause at the end, the story would not be complete without each person. Somehow, we’ve allowed the person in the spotlight of our lives today to be the only one that matters. Well, I’m not doing this certain kind of work like them, we whisper as the comparison scale tips heavily in the other direction. I’m just a stay-at-home mom. I’m just the person at the cash register. I’m just in the home office serving the people doing the hard work on the field. I’m not really part of the production of proclaiming God’s glory to a hurting, hungry world because I’m only doing this, and not that. But here’s the question bouncing around the edges of my heart: what if by playing my part with joy, using the gifts that God has given me, I see big things happen? Not that I alone accomplish big things. There will probably never be a biography written about my life, and people might not even read the stories I send home in newsletters. But what if my part backstage is just as important to the big picture of all that God wants to do in this world? I remember the first time I had a line in our church’s Christmas kids’ cantata. I was so proud! I’m pretty sure I delivered that line with as much soul and character as I could muster. I gave it my all and didn’t worry that another kid got to do something funny or that this other girl had way more lines. That’s what I want to do with the work that God has for me, the role He gives me in each season. I want to stop comparing my job to someone else’s, placing more importance on one or the other. I want to celebrate the ways that it all comes together to create art, to tell God’s story and show His beauty to a hurting and broken world. I long to find freedom in my own heart and in the world, in our homes and churches and friendships. I want to press in to being me, learning the quirky ways God chose to weave me together and the different ways He gifted others. Doesn’t this bring our Father joy? When His kids find contentment and let go of comparison and judgment, it throws the curtain open wide for His hope to shine front and center and His glory to be the one thing that matters. Side note- lest you are super impressed with my acting history, please know that my experience was limited to four (amazing!) years on my church’s drama team, and two semesters in college (and I didn’t actually ever make it on stage in college. I hung lights and sewed costumes). But I loved it! There’s an old saying (well, quoted in Anne of Green Gables anyway) that asserts, “Three times a bridesmaid, never a bride”. I have been a maid of honor twice and a bridesmaid once, so does that count? I’m not sure. Being in the bridal party is my favorite spot for a wedding. You have the perfect view of those first moments as the bride rounds the corner on her dad’s arm, glowing with love and expectancy. The groom grins big and tears pool in his eyes as he watches his beloved make her way down the aisle to him. Guests smile at the beauty and sacredness of the moment, and the wedding party sees it all. I love that John the Baptist described his position like that of a best man. John’s purpose was to point people to Jesus, even when this meant some of his followers and disciples left him. I don’t think he would have wanted it any other way. When one of his friends came to him with the report that people were going to Jesus to be baptized instead of John, this was his response. John 3:27-30 John replied, “No one can receive anything unless God gives it from heaven. You yourselves know how plainly I told you, ‘I am not the Messiah. I am only here to prepare the way for him.’ It is the bridegroom who marries the bride, and the best man is simply glad to stand with him and hear his vows. Therefore, I am filled with joy at his success. He must become greater and greater and I must become less and less. What a powerful reminder of our role and Jesus’ role. Maybe this is just me, or the line of work I’m in, but often I want to be recognized for the impact that I am having. I write newsletters to tell of what God is doing, but I secretly hope that someone will also respond with a word of affirmation for my part in it all. I want credit for my work, to be known and valued and respected. Perhaps many of us long for these things, and yet, we are simply in the wedding party at the moment. Yes, we are part of the Bride of Christ, His absolute beloved sons and daughters who will spend eternity with Him. But when it comes to the ways He is wooing the hearts of those who do not yet follow Him, do I step up to claim recognition or point back to the Bridegroom? We have the absolute joy of witnessing what God is doing in the world. We get to see the faces of those who are transformed and the new life and light in them. Are these the kinds of stories that I tell? Do I share in such a way that I can say like John, “He must become greater and greater and I must become less and less?” I pray that God humbles me and continues to teach me so that I can. 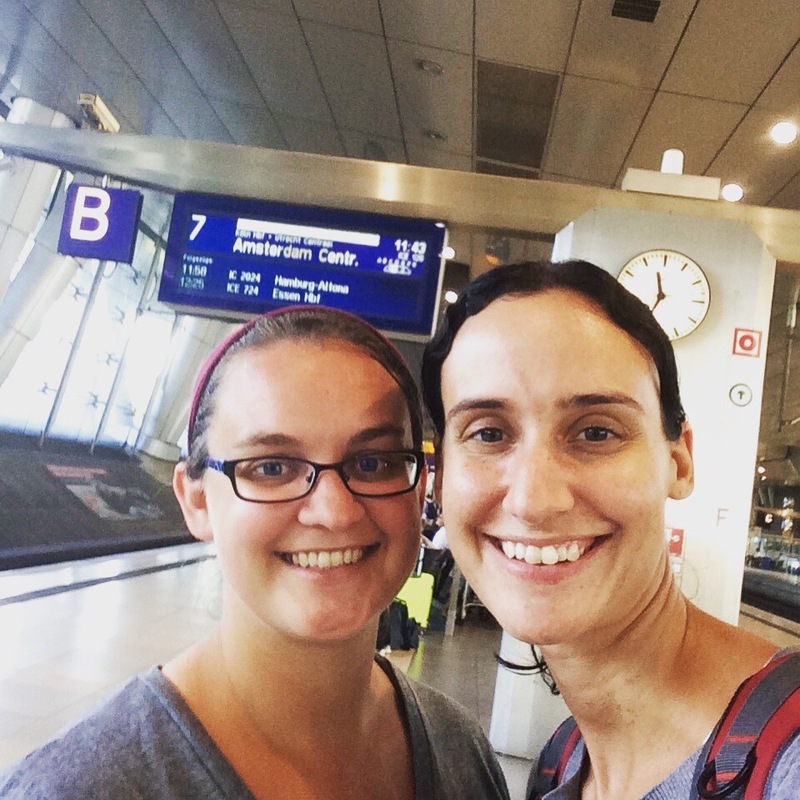 One year ago, I managed to find my sister Emily in the chaos that is the Frankfurt, Germany airport. 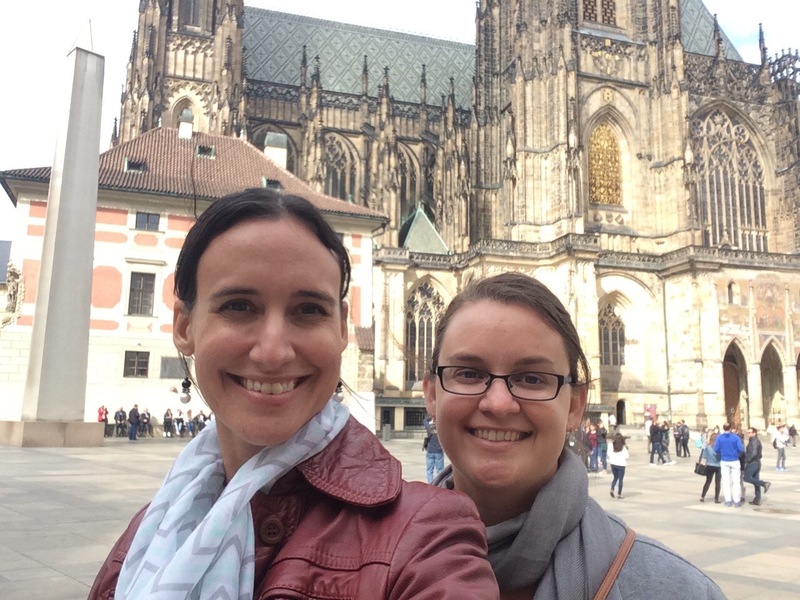 We’d been planning and dreaming about tracing our family roots to a little town in north-central Germany, and the gorgeous city of Prague, Czech Republic. After a conversation led to declaring, “This MUST happen!”, we were finally on our way. In honor of the one-year mark since this wonderful adventure, here are my top 10 absolute favorite things. Chocolate croissants. Need I say more? Train rides. In America I travel by car more than anything, occasionally adding in the Dallas Area Rapid Transit when trying to avoid traffic heading downtown. In Cambodia, it is mostly pedaling my bicycle, hitching a ride on a motorcycle taxi, or piling with friends into a tuk-tuk. 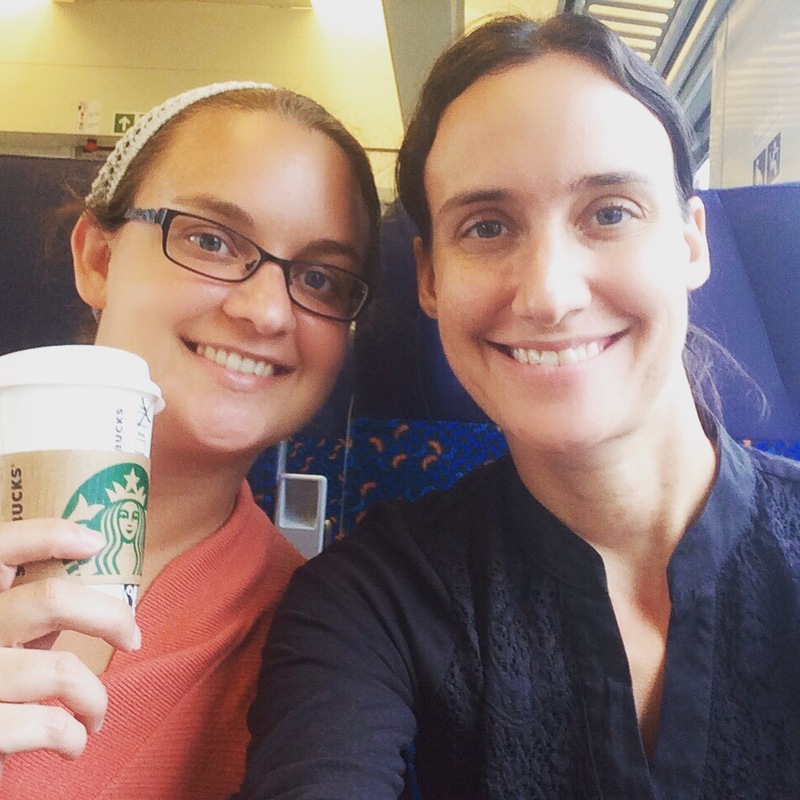 So riding on a train was a fun new adventure! 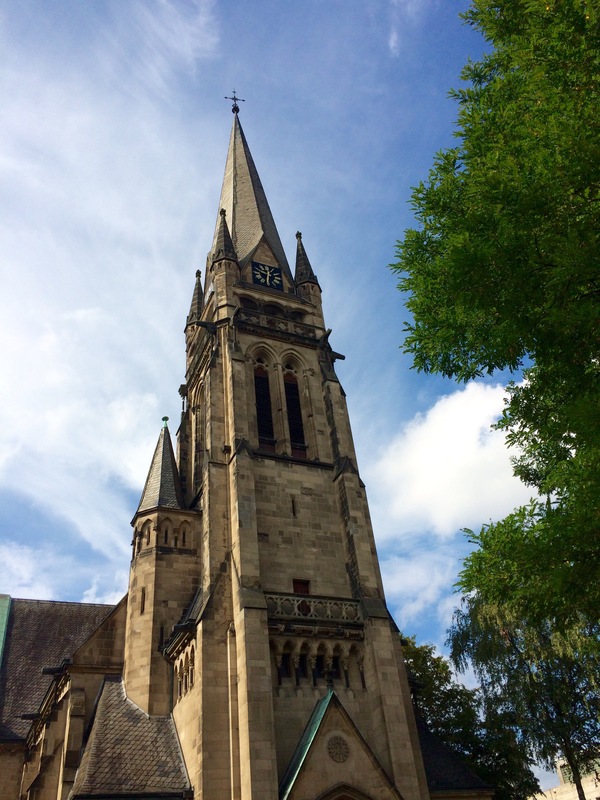 We traveled from Frankfurt to Detmold with rolling hills and farmland passing by, and then from Detmold to Prague as the fields gave way to mountains and forests and the big city landscape. Family history. 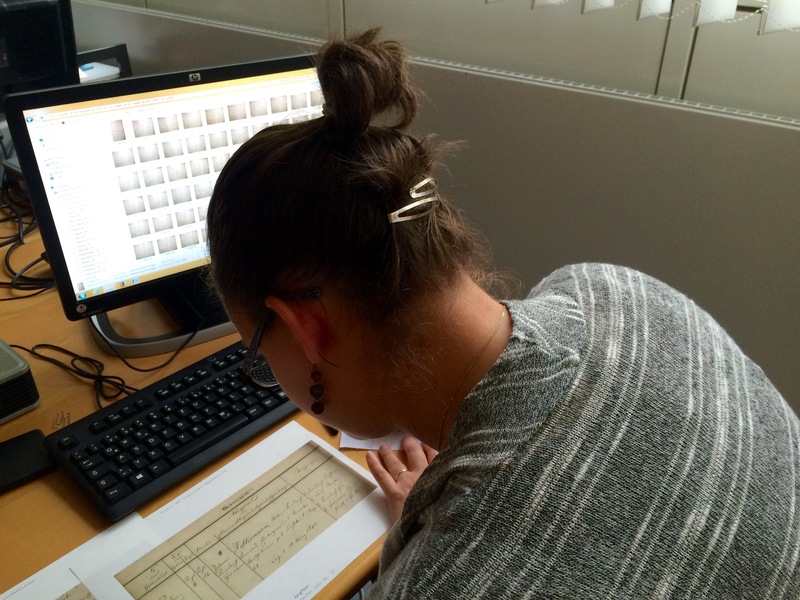 Emily and I spent one morning pouring through online records of births and deaths from the area of Germany we were visiting at the church records hall. It was like finding lost treasure when we spotted our last name among the records! When getting lost leads to an adventure. For the most part we navigated the cobblestone streets of little Detmold and the tram system of Prague with no problem (thanks in large part to Google maps and local SIMs with amazing data). One day Emily and I wanted to find the church where our ancestors were married and their children christened. It required a bus ride, and Emily’s limited German. We managed to get close but got dropped off in what felt like the middle of nowhere. After a quick consultation on my phone we realized it was just over a kilometer walk to the town we were hoping to see. As Emily and I walked on the edge of the little highway, we looked at each other and exclaimed, “This is Germany! 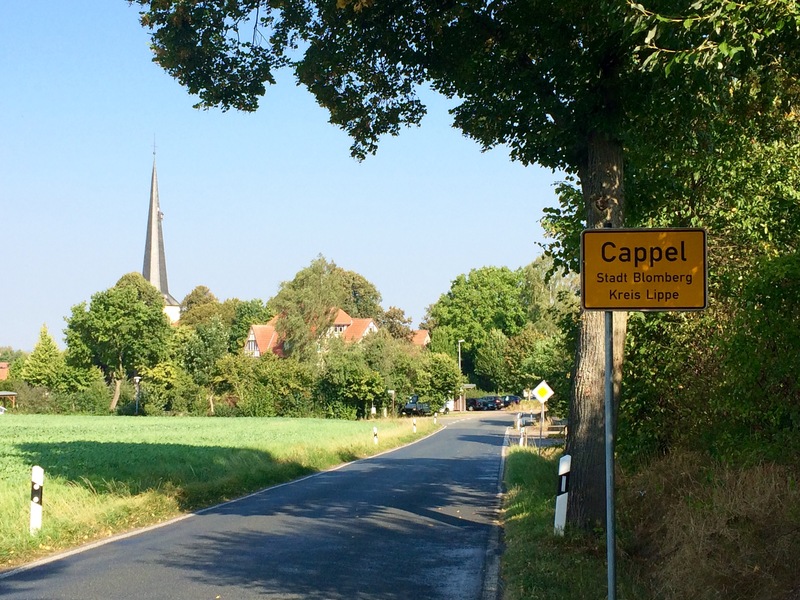 We’re walking in the middle of nowhere in Germany!” It was a fun addition to our excursion. Concert at a castle. On a whim I decided to check and see if there were any concerts taking place in Prague while we were going to be there. A small group from London was going to be finishing out a round of concerts at St. Vitus Cathedral on the grounds of the Prague Castle. We couldn’t pass that up! What a regal setting and fun opportunity to take in beautiful music. Grand old churches. I just couldn’t get enough of them. Local fare. 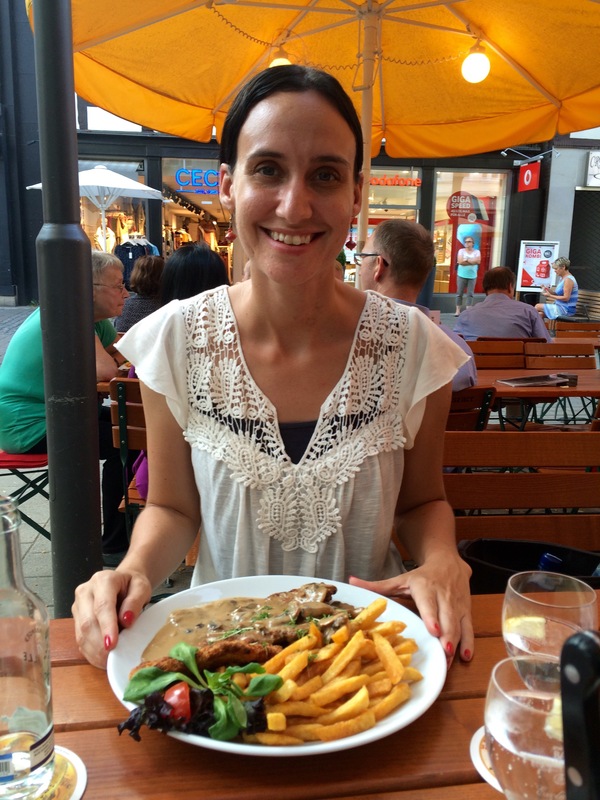 To save money we didn’t eat out all of the time, but made sure to sample some of the local food- kolache in Prague, schnitzel in Detmold. Familiar treats. A few times we just needed something comforting and familiar. Hello, Starbucks. Thank you for taking over the world. Chilly weather. When we arrived in Prague the temperatures had dipped down into the 50s F. Okay, this probably isn’t bad for most of you, but for this girl who lives in the tropics, I was freezing! But that is a rare treat and I thoroughly enjoyed it. This girl. 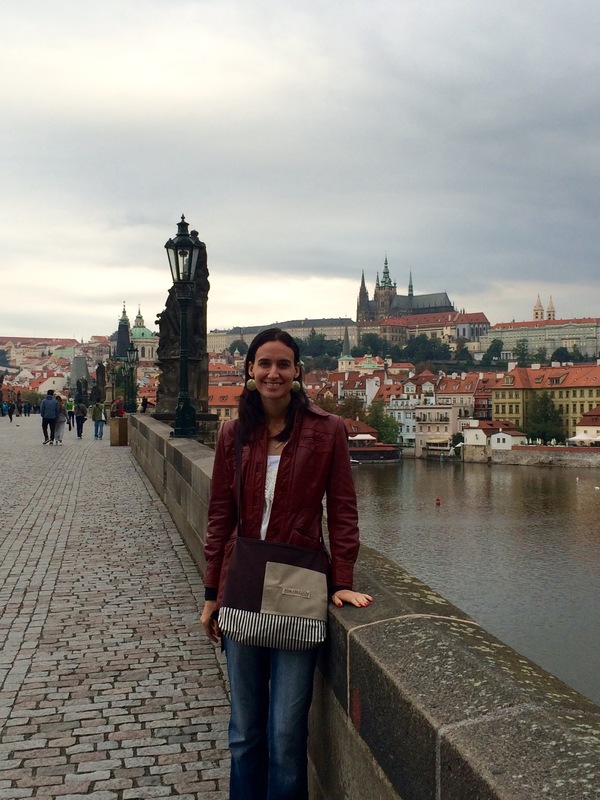 I loved getting to see Europe through my sister’s perspective. We could be totally honest about what we really wanted to see, when we needed a break, and we could bravely try things together we wouldn’t have on our own. It was just delightful to explore and experience and appreciate the beauty and culture and people alongside this lovely sister of mine. I don’t know if I’ll ever have a daughter. A husband is needed for such things, and unless God plops an eligible 30-something bachelor (taller than 5’9″ please) in the middle of Battambang province, I’m not sure that dream will ever become a reality. If I ever did have a daughter, I already have a name picked out (sorry Future Husband). I would want to name her Annika, which means “sweet-faced, beautiful, God has favored me”, and I think that is just the loveliest. The name also comes from Anna, a woman in the Bible that piques my curiosity and challenges my faith. We only get a paragraph of her life, just 3 verses that barely scratch the surface of all she must have seen and experienced. Check out her story in Luke 2:36-38. Anna, a prophet, was also there in the Temple. She was the daughter of Phanuel from the tribe of Asher, and she was very old. Her husband died when they had been married only seven years. Then she lived as a widow to the age of eighty-four. She never left the Temple but stayed there day and night, worshiping God with fasting and prayer. She came along just as Simeon was talking with Mary and Joseph , and she began praising God. She talked about the child to everyone who had been waiting expectantly for God to rescue Jerusalem. Anna loved God with all her heart, devoting her life to seeking His glory and presence. She could have been bitter over the tragedies in her life and the dreams that didn’t come true. She could have given up on the God that took an awfully long time to answer her prayer. But she didn’t. She was waiting with great expectation and when she finally saw that Jesus was the answer to that promise, she didn’t keep the message to herself. Oh, that my little faith would be like that as I wait for the answers that have not yet come in my own life. Another thing I love about this woman is that she didn’t let her situation or station define her. She had a lot of things going against her in a culture that had no value for her gender, marital status and lack of children. I am quick to let shame dictate the response to my station as an “older” single who doesn’t really fit the expectation box of people anywhere. What, you’re already 31 and not married yet? No kids? What are you waiting for? But you want to work with pastors and leaders? You’re too young for that. Yeah, no box for all of that. Yet, despite Anna’s challenging status and the Bible even calling her “very old”, God chose her to bear witness to the infant Jesus as the Messiah. I have no idea if she lived long enough to see the fulfillment of the story, but I have no doubt that her faith that had been shaped and refined by the trials in her life didn’t waver. Nope, not a bit. Anna, girl, you are my hero. Maybe someday I’ll get to name my daughter after you. Maybe not. But I hope that I can praise my Savior every day like you did, through the trials and the hard days and the good days, with the same kind of devotion that you displayed. I mentored the Bible study leaders in my dorm during my junior and senior years of college. In order to find ways to support one another better, we each took a test to discover our love language and then talked through each one together over the course of a few weeks. My love language is giving and receiving gifts. Through the years I have had the delight of seeing the ways that God gives sweet gifts. My heart has been filled to overflowing by even the simplest of gifts shared with an open heart. Here are a few stories- favorites from recent months and years, but I’m sure there are so many more examples. My home assignment last year was extended an extra month because I needed it. I felt like God was saying to come back to Cambodia, but there were a lot of questions in my mind. Is this the right place for me? What will I focus on? Will the rest and encouragement from being at home last longer than the first few days? After a brief stop in the capital city, I was in a van with all three of my suitcases (much to the frustration of the driver although he did manage to find a place for all of them) on my way home to our town a 6-hour drive away. My teammate was staying in the city to welcome her family members for their visit, so I watched the city skyline fade on my own as I wondered if I would be able to settle back in to life overseas. We stopped at a rest area for lunch and I joined the other passengers for a quick meal of rice and green bean stir-fry. Once we were on the road again, the two women sharing my bench seat decided to stay awake for a bit and inquired as to my language ability and praised my local lunch selection. They pulled out apple slices and happily passed them my way, offering a bit of sweetness after our meal. It was more than that for me though. I felt cared for, seen and affirmed. They took a moment to share their snack, but also kindness. My teammate and I often stop in Seattle on our way from Asia to our home in the middle of the US. We have friends and a supporting church there, and warm food and sweet connections make the transition to our home culture a little bit smoother. My favorite part, though, is when I get to the Seattle airport for that final flight home. The chairs clustered around the gate are like a little haven of Nebraska accents and Husker clothing and familiarity. A couple years ago, my heart was weary and burdened from enduring a hard season overseas. When I boarded that last flight I just wanted desperately to be home, to speed up the next 3 hours until I could see my family waiting for me at the Omaha airport. The woman next to me immediately smiled and started asking me where I was coming from, my home town in Nebraska and any mutual acquaintances we might have. If you don’t know the Midwest, we have a culture of never meeting a stranger and most likely there’s a mutual friend somewhere in there. The woman next to the window pulled chocolate out of her purse like she knew just what my soul needed, and she gave me space when the tears trickled out because of her kindness. Sometimes we don’t know the impact of sharing a bit of love along the way. Sharing goes both ways. When I lived in Texas, I helped with the logistics for a training on multiplying disciples. I was living with a woman at the time from the church and she hosted two of the attendees of the training. We had a lovely time in the evenings, the four of us gathered around in the living room sharing what we had learned that day and so many other life lessons and experiences. Near the end of the week, I felt strongly God say that I was to give one woman a certain amount of money that came from a gift I had received from the church for my birthday. I wrestled with it for a bit as I thought about how special it had been to receive the gift, and the needs I had as I was preparing to start graduate school. But I knew I needed to obey God’s prompting. I tucked the money in her suitcase on her last day. Several days later I received an amazing note from her! Before coming to the training she had felt God asking her to give a gift of money to someone she knew who needed it. She obeyed but was also wondering how she was going to cover some bills that month because of the shortage. But, we serve an amazing God who weaves together our stories in such beautiful ways. The exact amount that I had given her was what she had given to her friend and what she needed for that month. The result of all of us sharing in obedience to God was getting to see Him provide for each of us and feeling the joy that comes from listening to Him. Are there ways a little gift has had a big impact in your life? *Linking up with Velvet Ashes this week! I grew up memorizing lots of fun Christian words in our church’s kids program on Wednesday nights. My favorites were grace and mercy, and explaining the difference between the two. Concepts like justification and propitiation were still far beyond my reach, but I could tell you the definition word for word. And maybe even spell it for you. Sanctification is another of those big Christian words. It means the process of being made holy, to be set apart for the intended use of the Creator and Designer. It happens as we receive salvation in Jesus and are covered by His blood, but it is also a journey of God refining us as we grow and mature in our relationship with Him. I’ve heard a lot of things over the years in the church about sanctification, especially in relation to marriage. I’ve witnessed people say over and over how marriage is sanctifying, purifying. I don’t doubt that the sacrifices and joys of pursuing a God-honoring marriage do this. I’ve always wondered where this leaves me though, a single woman in my 30s with marriage nowhere on the horizon. Do I have any hope of holiness in this lifetime? God works in each of us to refine and grow us into maturity. This happens in the heart of the believer who is obedient and open, no matter our relationship status. He DOES use the relationships we are in with family or spouse or friends, but ultimately this work is done through the Holy Spirit in us. Just as marriage can sharpen and deepen our character, so can singleness in various ways. I have learned much and had to sacrifice and compromise in my relationships with my teammates on the field. Our opinions differ, out of which decisions still need to be made. We wrestle with personality differences, seeking understanding and celebrating the uniqueness of our gifts and weaknesses, how all of this can come together like puzzle pieces to create a beautiful picture of the church working as one. In any relationship, we have to learn to give and take, to sacrifice and receive help and love. Even though I’m already in to my 30s, I still desire marriage and have conversations with God often about this. He has used this longing in my heart as a refining tool. Sometimes I desire marriage so much that it consumes every corner of my heart. It is my first thought in the morning and keeps me company throughout the day. Instead of happiness over a friend’s engagement announcement, all I can think is “This isn’t fair, Jesus! When will it be my turn?” By this point, marriage has become an obsession, a growing, stony idol in my heart that takes my worship away from Jesus. Then in His sweetness and love and discipline, God reveals this to me and asks me to once again surrender the longing and the dream of marriage to Him. He reminds me that the longing in my heart is not sinful, but should constantly be put at His feet in daily (or perhaps hourly sometimes) submission to Him. He should be my first love no matter what my human relationship status. He created us to be in connection and community with others and this longing should not be stuffed or guilt-tripped away. I need His correction and guidance to form this longing to be honoring to Christ. Ultimately, I need to remember, and may I remind you gently as well, that God is the one who sanctifies us. We receive salvation in Him through the sacrifice of Jesus and not because of anything we have done to deserve this precious gift. He teaches us through His Word and the Holy Spirit, and He also uses the relationships we have with others to help spur us on to love well. Let’s remind each other, whether we are single or married, to look to our Heavenly Father who loves us and encourage each other on this journey of sanctification. Romans 5:1-2 (NLT) Therefore, since we have been made right in God’s sight by faith, we have peace with God because of what Jesus Christ our Lord has done for us. Because of our faith, Christ has brought us into this place of undeserved privilege where we now stand, and we confidently and joyfully look forward to sharing God’s glory. Sometimes when I’m feeling particularly lonely or defeated or ready to say, “Send me home, Jesus!”, I pull out photo albums. Before I left for Asia, my siblings put together a book of sweet notes and pictures of my Nebraska home, us kids through the years, the precious people in my life. I turn on a little music and lose myself in Facebook albums of college friends, visits to America, and Cambodian adventures. These moments of feasting on pictures remind me of God’s sweet gifts. I start to think less of the problems or just how overwhelming life is at the moment and instead focus on His kindness, His grace and His provision. When I see the faces and places, when a photograph sparks a memory, it reminds me not only to savor God’s gifts from the past but the gifts in the here and now too. Yes, maybe things are hard right now. Maybe the ants seem to be on a rampage in our house lately, that conversation didn’t go quite like I wanted it too, and doors shut in my face when I was just starting to hope again. These hard things don’t have to cancel out the good. When I allow my heart to pause throughout the day, when I keep up a rhythm of thankfulness, I can savor the gifts and cling to Hope in the hard things. So, I’m sharing a few of the reminders of God’s sweetness to me, through pictures. 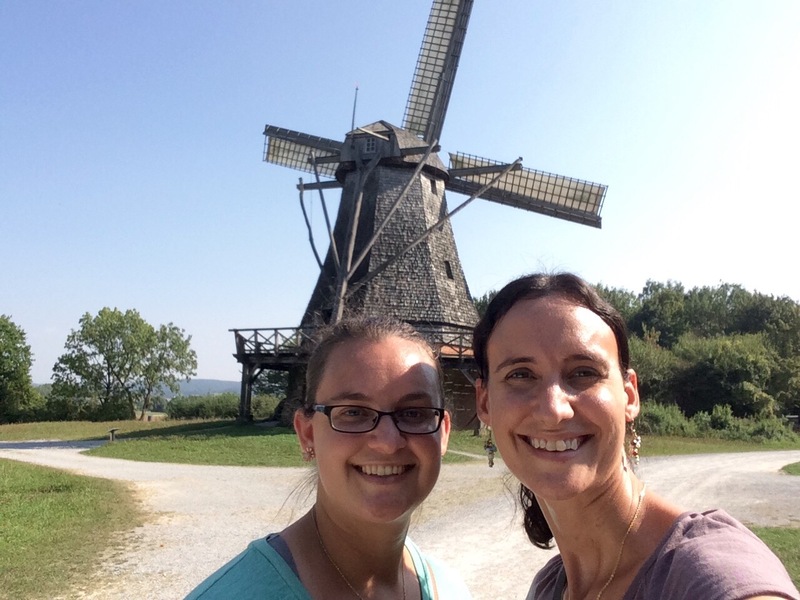 Last fall, my sister Emily and I fulfilled a long-time dream with a trip to Europe! Our goal wasn’t to fit in as many tourist sites as we could. Instead, we wanted to go slow and be fully present in each and every day. 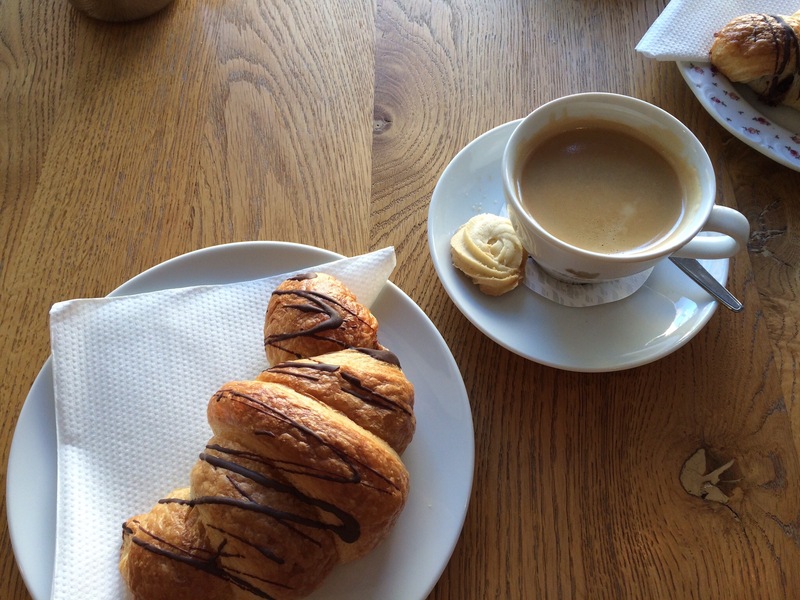 I loved sipping coffee together and watching everyday life happen outside the window. I loved soaking up the beauty of history and architecture altogether different from what I normally see. I loved long sister conversations about our family lineage and sweet memories made. My niece and nephew bring so much joy to my life! Sometimes playing trucks and reading books over and over again might feel tedious but I love savoring these moments when they are little. A home, in Nebraska and Texas and Cambodia. Places where I’m loved and cared for, where I am known and know others. Beautiful places I’ve had the privilege of visiting in so many parts of the world. Our Father is so creative and I’m grateful for opportunities to see the displays of His glory! What helps you to savor God’s gifts to you? Last night I had a moment. I’m not sure what your “moments” look like, but mine normally go something like this: one negative thought leads to remembering every other time I have had said negative thought, then hopping on that thought train straight to despair and needing tissues because the world is ending and I’m the worst person ever. Only slightly dramatic. One of the things I fear most is rejection. I’ve had lots of eye-opening conversations over the last year as to why that might be, the childhood experiences and perceptions of events that lead my heart back to that place of fear. Some I’ve worked through (with the help of a gifted counselor) and others still pop up and I ask the Father for help as I process. In the darkest moments of this fear of rejection last night, I got a message from a friend with a question and an offer for prayer. She had no idea that I was wiping away tears and feeling isolated and unseen, but she offered encouragement and friendship and care. I thought of Hagar, and her story found in Genesis. Hagar knew rejection. She obeyed her mistress Sarah to give Abraham a child, but then found herself sitting in the wilderness alone and forsaken by her master. It was there in the midst of the rejection that God found her. He provided for her, speaking lovingly to her through His angel and sparking hope in her heart again. This happened not once, but twice as she had to flee the wrath of Sarah after the birth of her son. It was in the darkness of rejection that Hagar learned the heart of the God who Sees. She used another name for the Lord after that precious encounter: El-roi (The God who sees me). El-roi sees us too, in our glorious and messy moments when it feels like the world is falling apart. He sees us in our fears and our joys, the hurts and frustrations and victories. He is not a God far away but One who draws close and in the very midst of that brokenness He offers His presence and comfort. Sometimes He sends a friend to message us exactly when we need it, or brings a verse or song to mind to minister to our hearts. Thankfully He doesn’t give up when I hop on the negative thought train once again. He pursues me with His undying love. I keep waiting for the bottom to fall out from under me, that thing I’ve been worrying about to happen or the very circumstance I dread coming true. I have a vivid imagination when it comes to worst case scenarios and the planner in me wants to prepare for every possible twist and turn. It’s hard to turn off the anxious thoughts, to trust someone else rather than striving for command of every situation myself. I hold that tension in my body; the desperate clutching for a thread of control finds a home in my shoulders, my neck, my temples. My emotions spin in circles and the pressure in my soul builds and builds until I’m certain there will be an explosion and it will be messy. Hope comes in to all of this craziness with a call to let go. It’s like stretching those aching muscles, releasing the tension with deep, calming breaths. Hope comes in with a reminder to look up rather than madly looking around for the next disaster that must be averted. It’s all about where I’m placing my trust, which points to the source of my confidence. Hope says that when the bottom does drop out from under me, when the disaster happens (it might or it might not), the Father’s arms will be right there to catch me and pull me to safety. He won’t leave me stranded or abandon me like I fear others will. He doesn’t want me trying to act like the Lone Ranger, trusting only in my own abilities because letting others in is too scary. No, He longs for my heart open and free, allowing His peace to flow through the places full of fear and doubt. He puts people in my life on whom I can lean because we aren’t meant to go through this life alone. Those broken places where the darkness seems to be winning can become the very places where Hope gets in. The valleys and struggles and heartbreaks can usher in a deeper understanding of our Savior, of the ways that He created us uniquely and the ways He wants us to share Hope with others. The valleys of trouble and trial don’t last forever, when our trust is firmly in the Author and Finisher of our Faith.